A view of the Twelve Bens mountains. 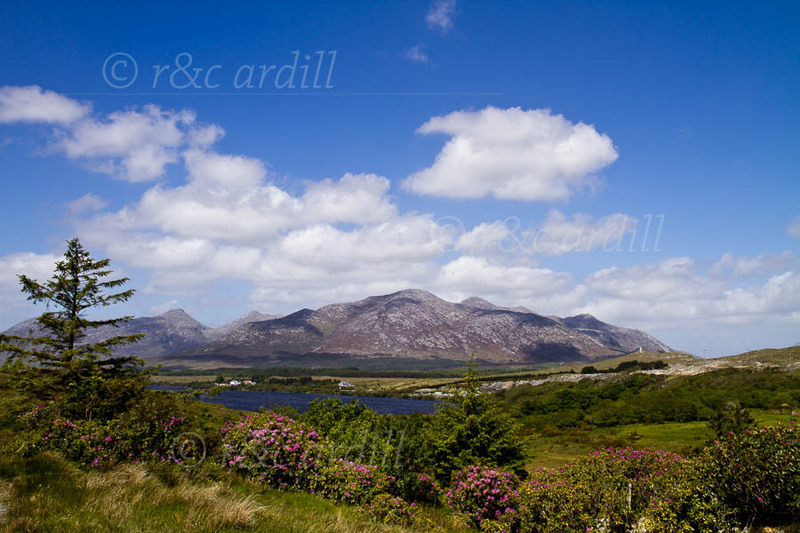 The peaks of Bengower, Benbreen and Ben Corr can be seen. Lough Garroman is in the foreground. The image was taken in May when rhododendron is lush in the area.